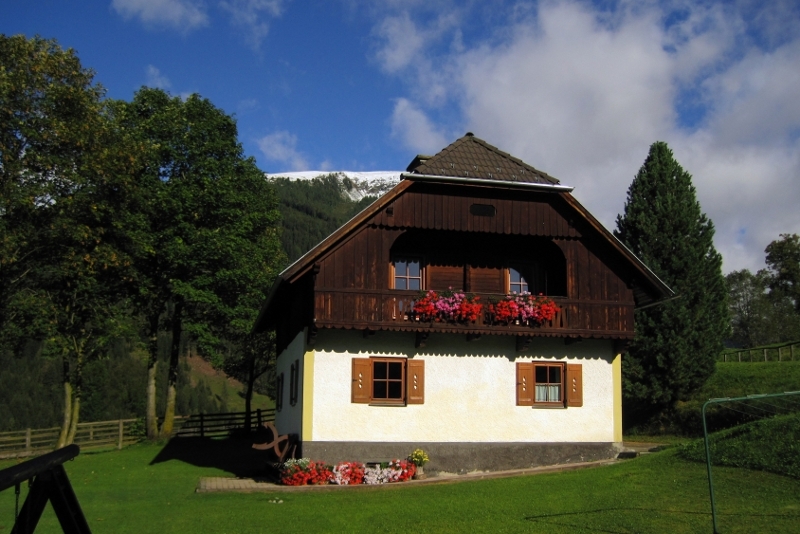 The "House Ferienglück" is nicely and comfortably done up and can acommodate up to eight persons. On the ground floor there is a big anteroom with wardrobe, a mirror as well as a fully equipped kitchen, a large dining table and a wood stove. In the affectionatels furnished living room there is a big television with a satelite receiver. On the first floor there are also a bedroom and a toilet. On the upper floor there is a douche, a toilet, a small bedroom and two bigger bedrooms with access to a big balcony. Each room is furnished with an own sink. Furthermore, wireless Internet is available throughout the house and wet ski or hiking boots are quickly ready for use again because of the shoe dryer in the cellar!